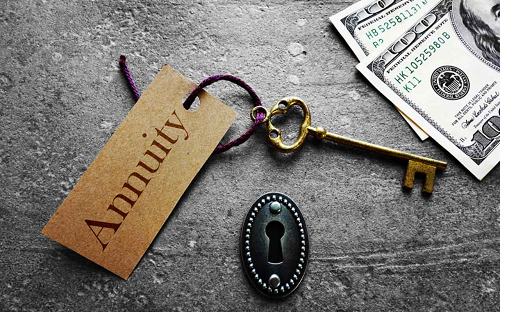 Unlike other types of annuities, the money in a fixed deferred annuity grows at a guaranteed minimum interest rate.That means your account value will never go down unless you choose to make withdrawals. Fixed deferred annuities give you the choice to receive guaranteed payments for the rest of your life. This predictable income stream can help you plan for the goals you want to achieve during retirement. The money in your annuity accumulates on a tax-deferred basis. That means you do not pay taxes on your earnings until you withdraw the money. Because of tax deferral, your money may grow faster in an annuity than it might in a similar, taxable investment. In the event of your death, your annuity’s account value will be paid directly to your beneficiary. Buying an annuity from a reliable company with a strong financial history gives you the confidence to know your money will be there when you need it. With guaranteed rates and easy-to-understand payment options, fixed deferred annuities are one of the most straightforward retirement savings options available. To minimize taxes, you can time your withdrawals to begin in later years, when your taxable income may be less.